Aaron Cole April 15, 2019 Comment Now! 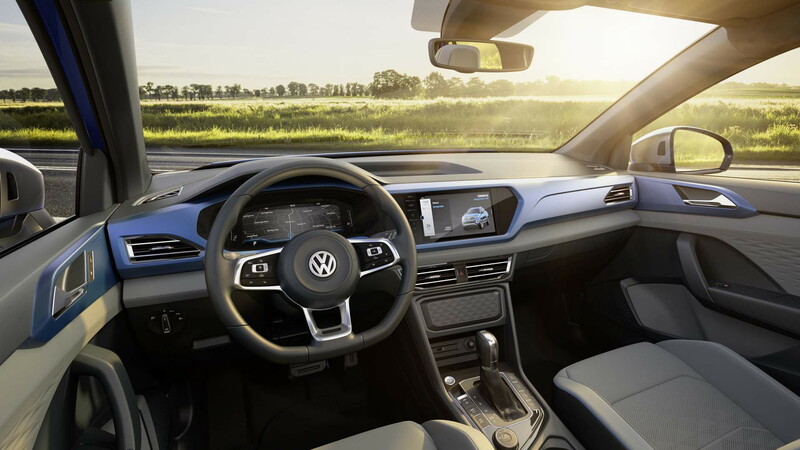 The Volkswagen Tarok compact pickup concept unveiled in Brazil last fall, which will eventually spawn a production model to be sold in South America, will appear at the 2019 New York International Auto Show, the German automaker confirmed Monday. A trial balloon to gauge interest, the Tarok is based on the same MQB platform that underpins the VW Atlas—the two share nearly identical wheelbase dimensions. It's not the first time that VW has teased American buyers with an Atlas-based pickup. The VW Atlas Tanoak concept arrived last year at the NY auto show with similar dimensions and an MQB platform underneath. At the time, VW execs said the Tanoak was a concept-only study and a production vehicle based on it would be unlikely. 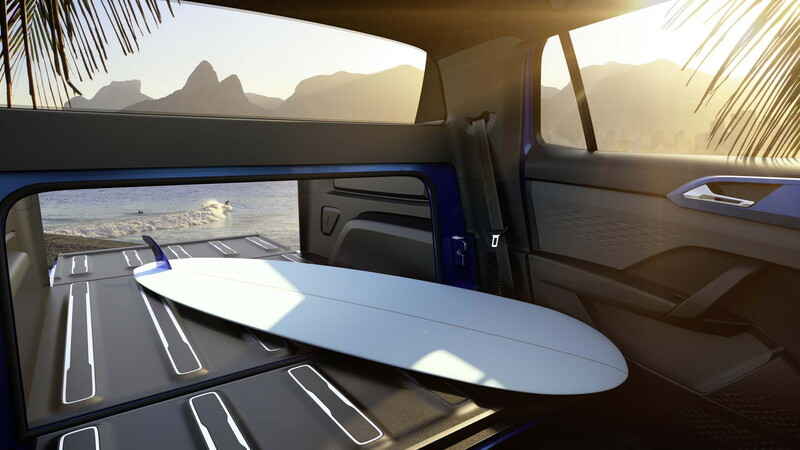 Now, a year after the Tanoak concept—and a fledgling partnership with Ford working in the background, in part to produce a mid-size pickup for the rest of the world—the Tarok appears to be closer to production for the U.S. The Tarok rides atop a wheelbase that's 117.7-inches long—compared to 117.3 inches for the Atlas—but the bed length is only 47.5 inches, shorter than every would-be competitor in the U.S., including the Honda Ridgeline. The Tarok's bed length increases by tumbling down the second-row seats to more than six feet long, which opens a pass-through into the cabin. VW says the Tarok can carry more than 2,200 pounds in its short bed, but didn't specify a towing capacity. That's likely because the Tarok that will appear at the 2019 New York auto show is fitted with an engine bound for the rest of the world, but underpowered compared to American trucks. The Tarok is fitted with a 1.4-liter turbo-4 also found in the Jetta and Golf; in the Tarok it makes 147 horsepower and is hooked to a 6-speed automatic and all-wheel drive. VW uses a 2.0-liter turbo-4 or narrow-angle V-6 to power the Atlas in the U.S., likely candidates to power any pickup sold with a VW badge here. 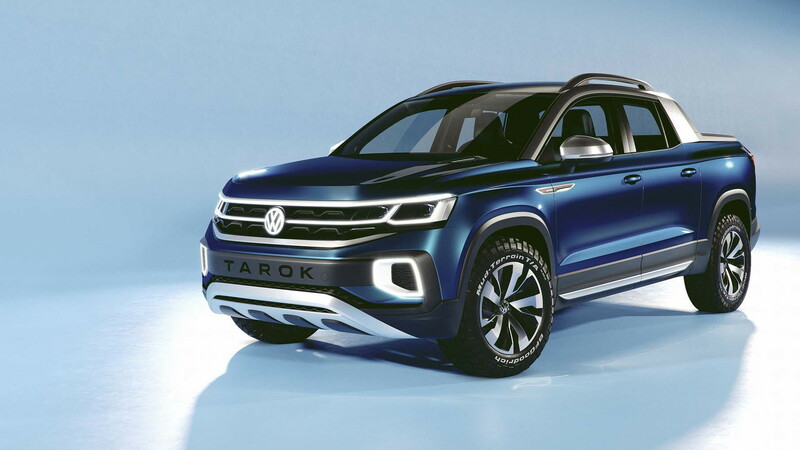 If it makes it to the U.S., VW may flex the Tarok's off-roading capability far more than any towing or payload capacity. According to the automaker, the Tarok features multiple drive modes including on road, off-road, snow, and custom off-road modes. The short overhangs also give the Tarok an approach angle of 23.8 degrees, a departure angle of 26.4 degrees, and a breakover angle of 22.1 degrees with a 9.6-inch ground clearance. For comparison, the Ridgeline offers similar angles of 20.1, 22.1, and 19.6 degrees with a 7.9-inch ground clearance. The Jeep Gladiator's 40.8, 25, 18.4 degrees with 10 inches of ground clearance is still tops in the class. 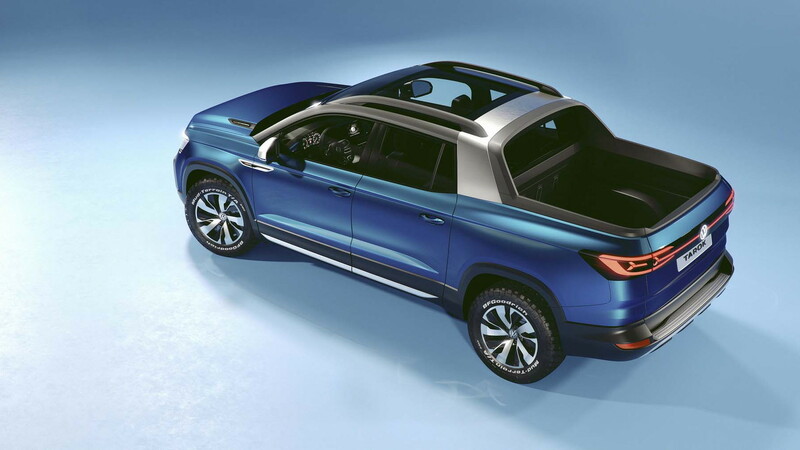 Earlier this year, VW announced a loose partnership with Ford to produce a mid-size pickup based on the Ranger to be sold globally. 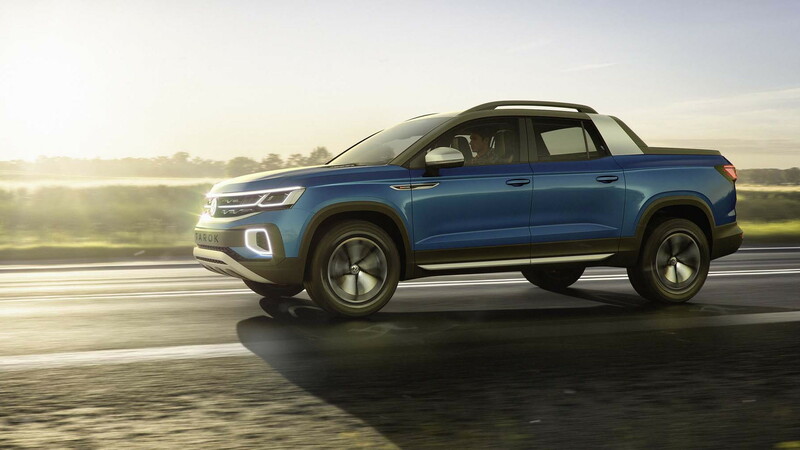 The mid-size pickup, a successor to the current Amarok sold overseas, has a skaky future in the U.S., although VW boss in America Scott Keogh has said that the automaker would consider building a pickup for the U.S., according to CNET. The NY auto show starts on Wednesday. For more coverage, head to our dedicated hub.